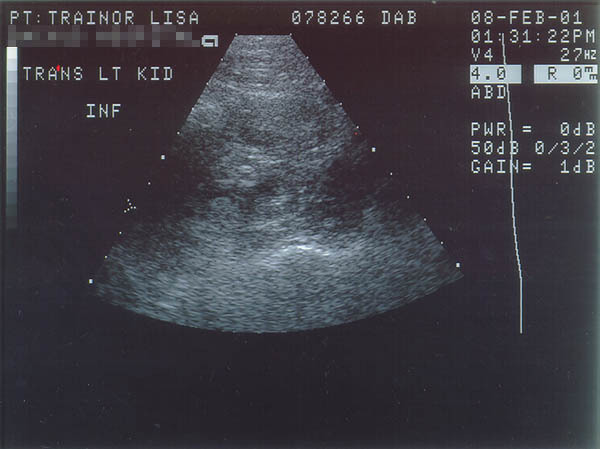 These are printouts of my Renal Ultrasound showing my Angiomyolipoma(s). These are 2 printouts of the same scan, one with my name spelled wrong. The first scan has my kidney circled, as well as one of the angiomyolipomas.